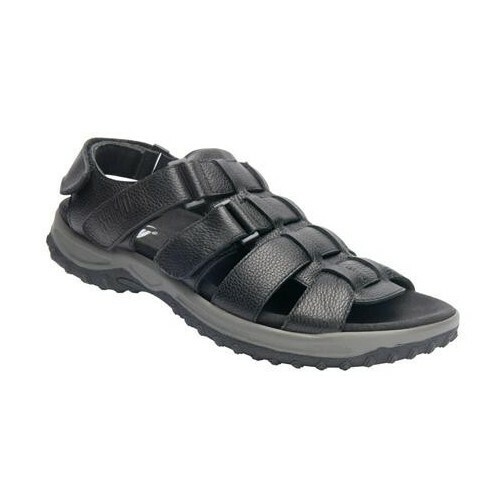 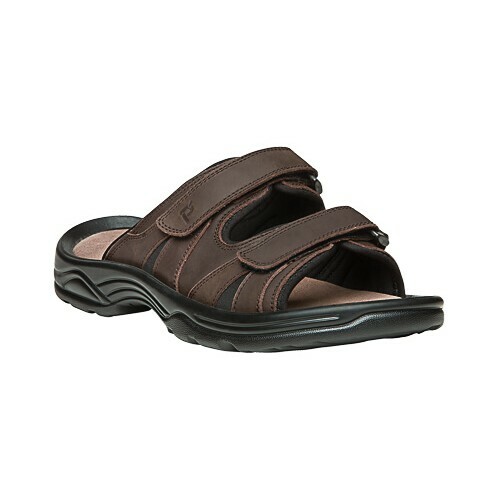 Set your feet free while keeping them comfortable with our comfort sandals for men. 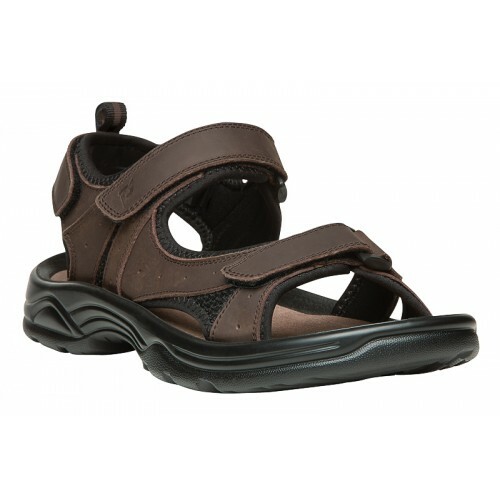 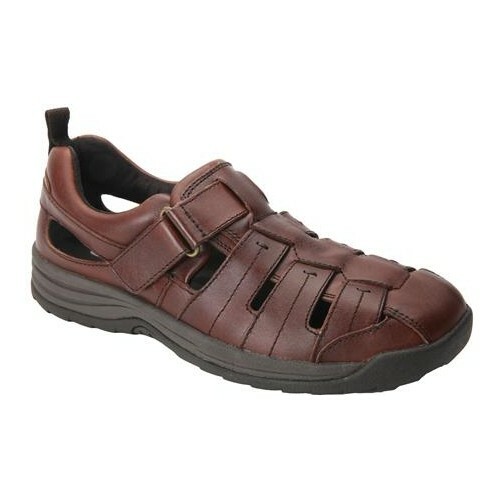 Diabetic and orthopedic sandals offer wider widths to accommodate for different shapes of feet. Our selection of comfort sandals are designed with unique therapeutic features that provide unsurpassed comfort and ultimate protection for those with foot pain or conditions. 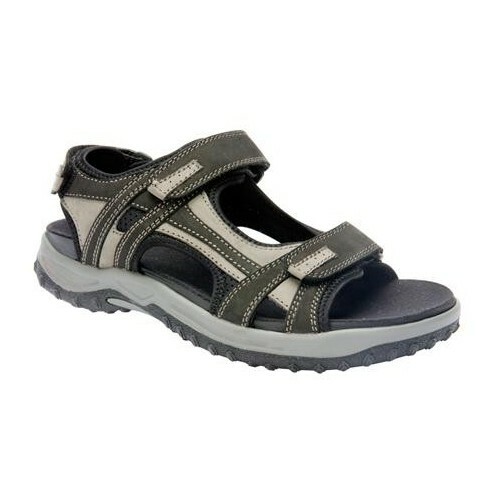 Wearing sandals with the right support can help with lower body pains and align your feet with the rest of your body. 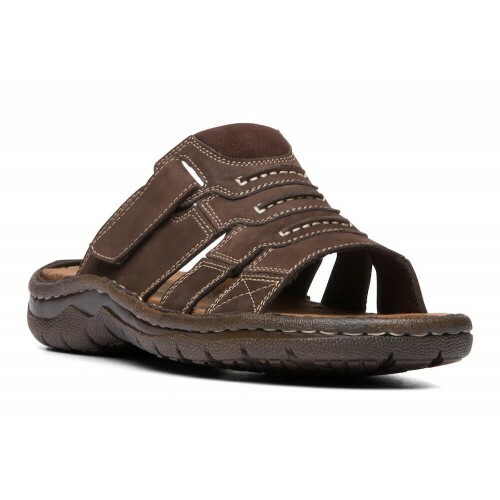 Our comfort sandals provide comfortable soles with cushioning support and excellent stability, making every step a soothing one! 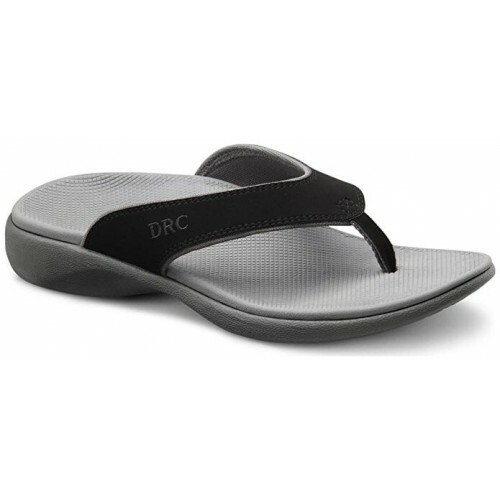 What a great beach sandal for men! 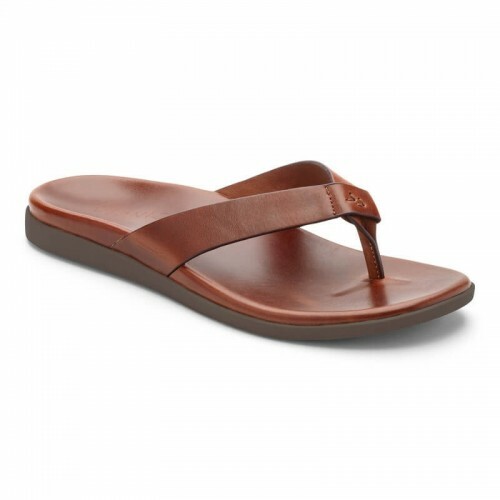 Check out the Propét Jonas with its waxy Nubuck finish and fine detailed stitching. 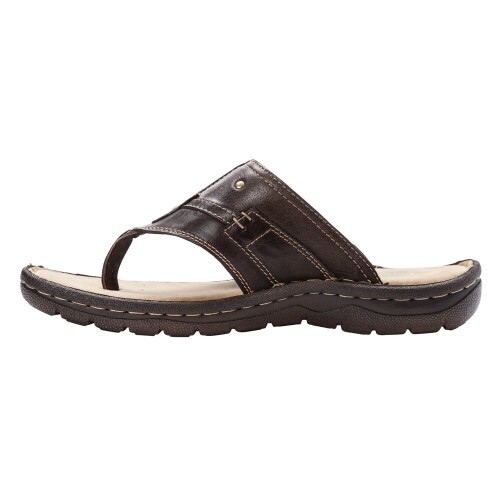 You'll love the extra comfy footbed which is padded and even includes a microfiber lining for added softness. 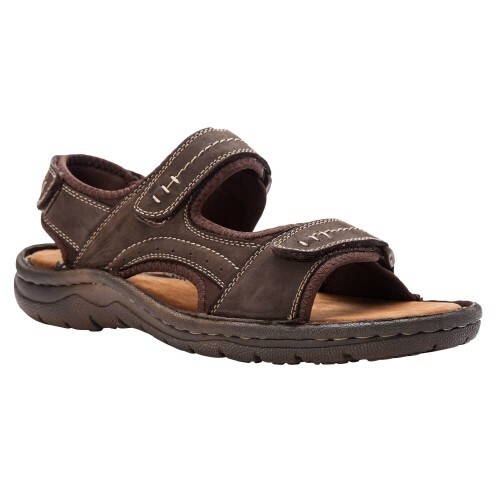 One of the most comfortable sandals around, the Propét Surfwalker II is perfect for the guy on the go. 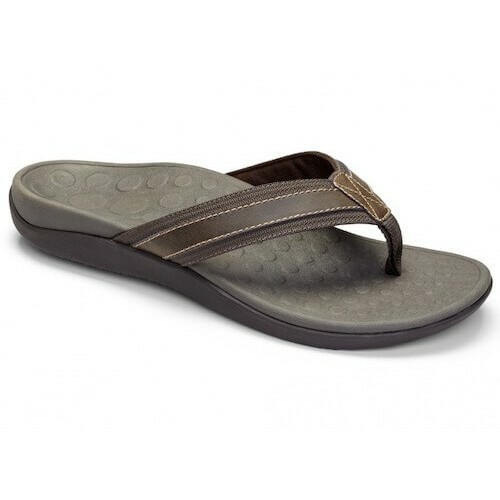 Enjoy the pull tab at the back of the heel for easy on and off wear. 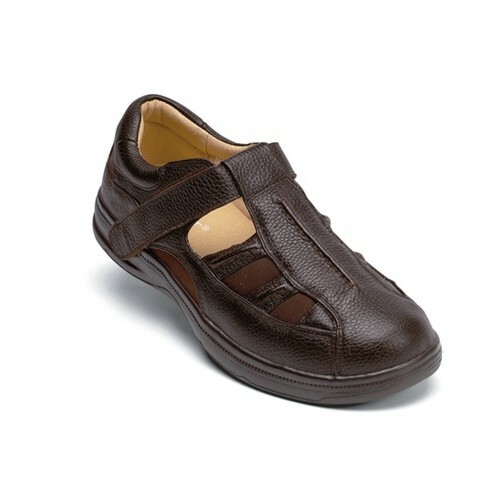 The Velcro straps allow for a custom fit while the padded microfiber lining promotes a comfortable walking experience. 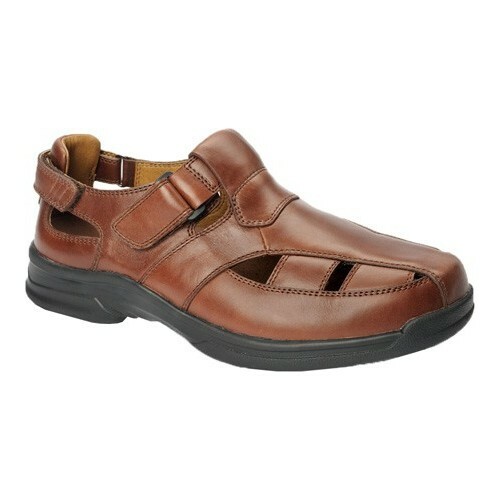 Take a look at the Hamilton by Drew! The Hamilton comes with a comfort construction and a removable, soft, memory foam footbed with suede topcover that allows room for prescribed orthotics. 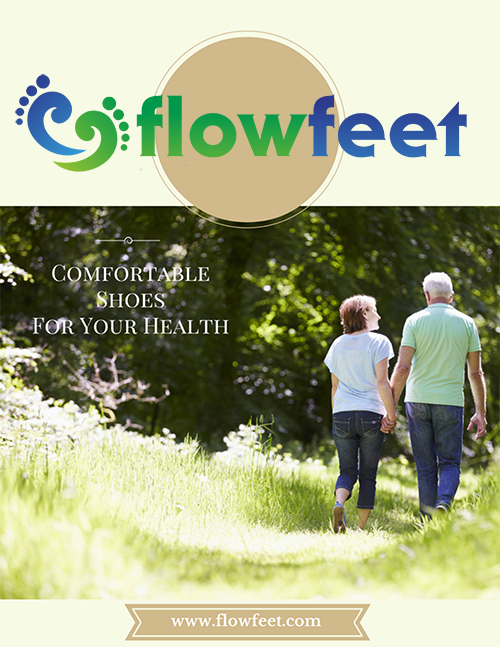 A touch fastener brand adjustable heel strap, and the quick draw bungee lacing system contours to your foot for a comfortable fit! 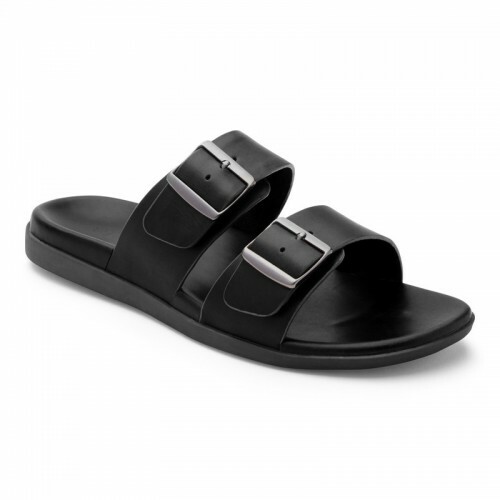 No better value in a full grain leather sandal with neoprene lining plus adjustable hook and loop straps for the perfect fit in a slide sandal. 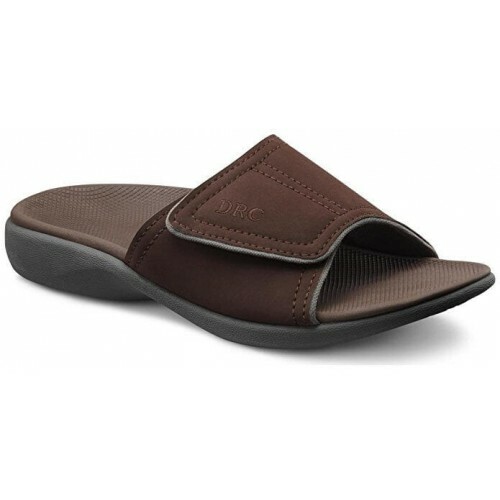 foam-padded footbed with microfiber sock lining keeps your feet in comfort all day and the thermal rubber outsole adds traction and durability. 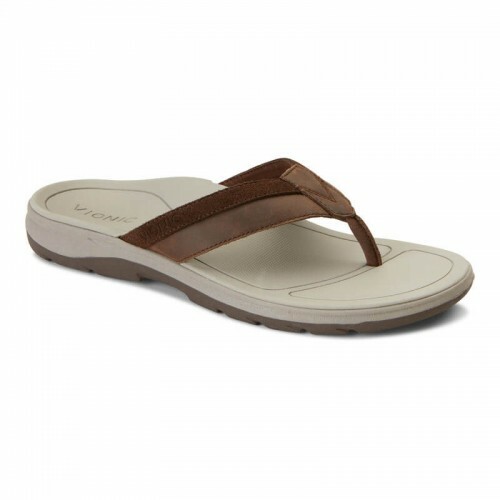 Gear up for the warmer temps with the Gil from Vionic. 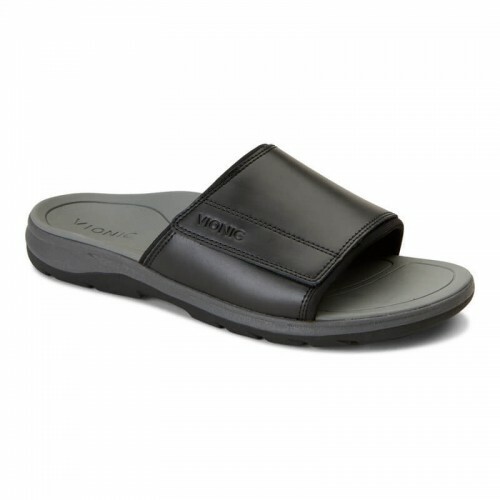 Premium leather uppers in a classic fisherman silhouette. Adjustable buckle closure at ankle and heel. 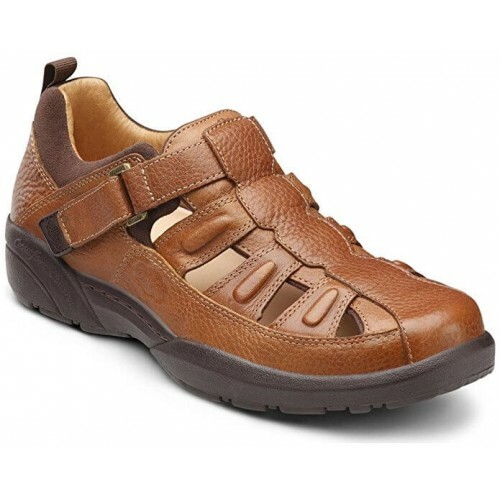 Smooth and breathable leather linings. 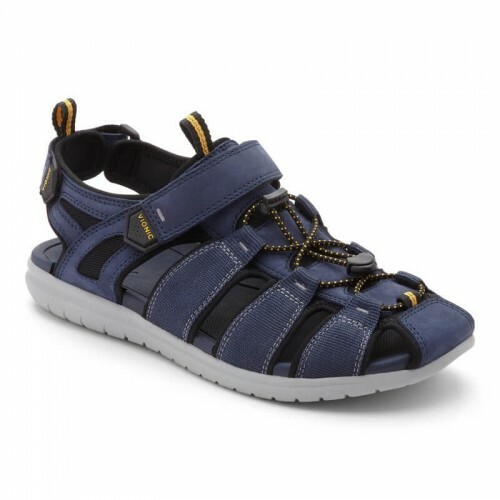 Elevate your summer style and your comfort with the Vionic Elijah sandal. 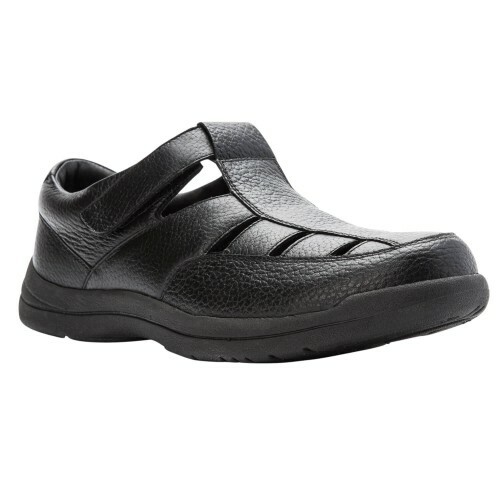 Smooth leather uppers in a casual silhouette. 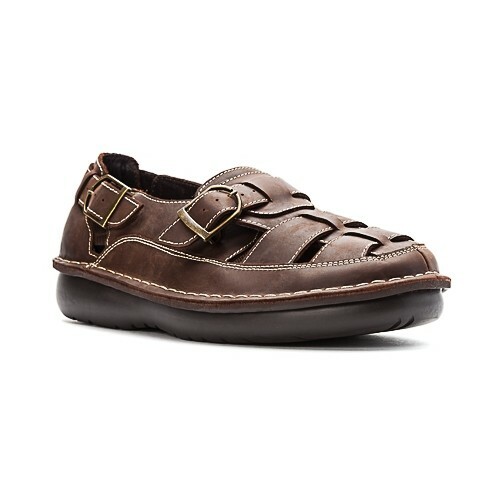 Sturdy leather toe post for an easy slide-on wear. 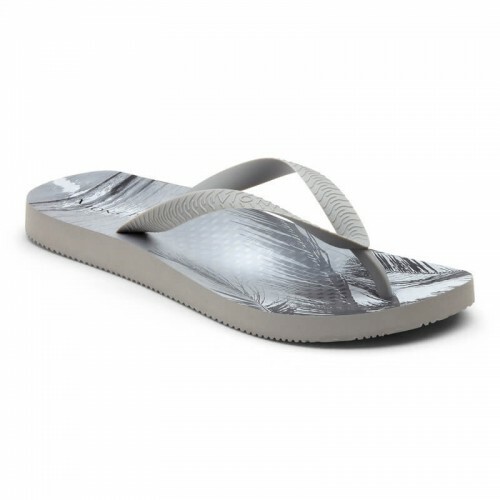 Get the look you want and the support you need with this classic flip-flop. 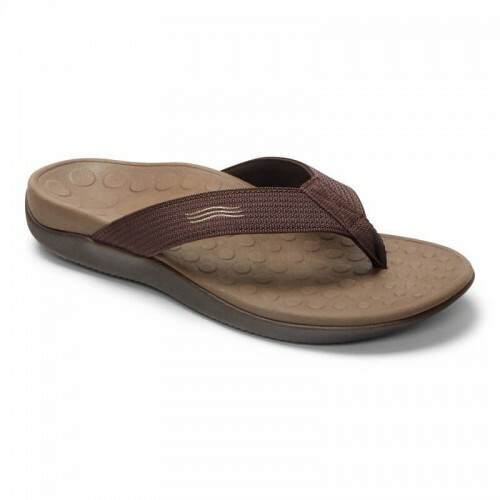 Take your pick of one-color solids or bold prints. 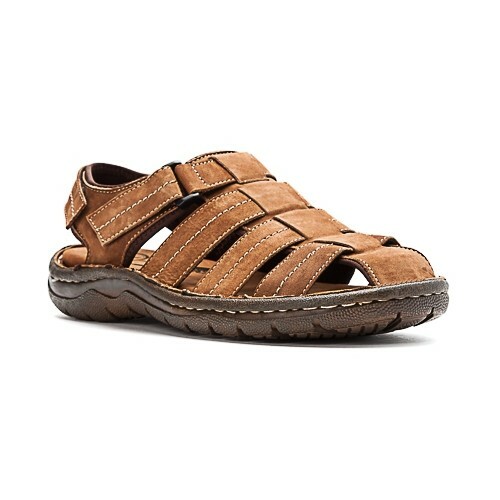 One step into the Drew Barcelona Closed Toe Sandal, and you'll feel like you're walking on clouds. 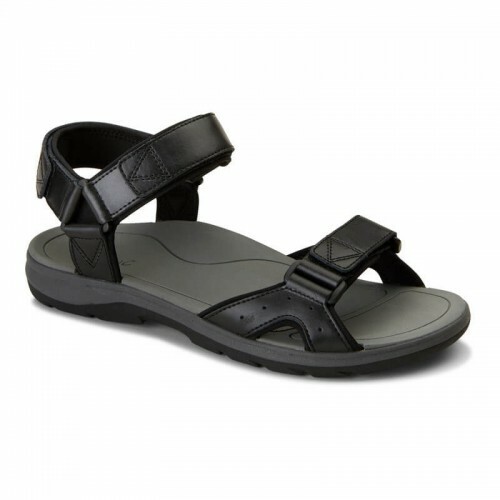 This sandal defines quality, comfort, support and stability. 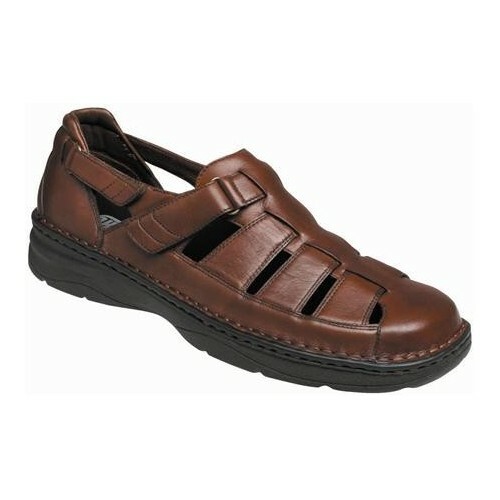 A lightweight, supple leather upper make this an ideal men's casual shoe for those needing more from their footwear. 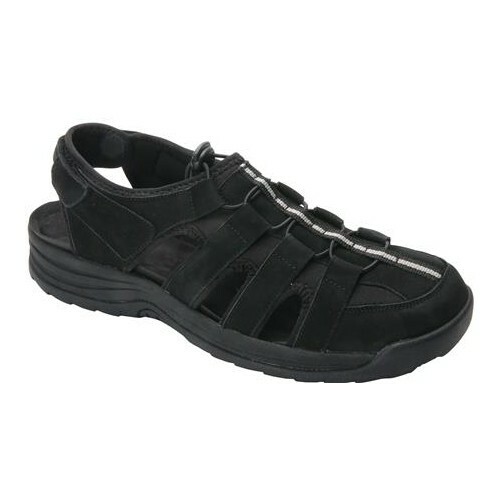 The extend hook and loop velcro strap provides ultimate adjustability for high insteps and swelling. 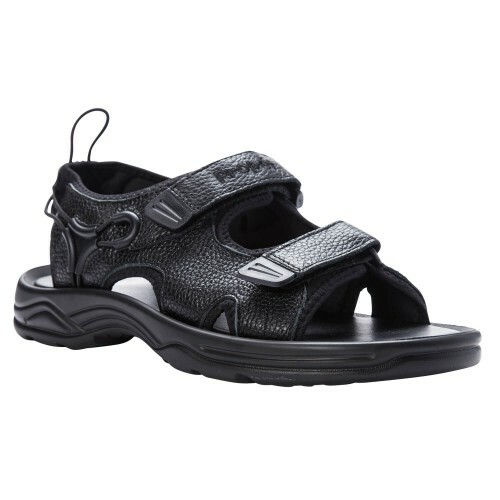 Plus, the Nassua features spandex panels on the vamp for breathability while protecting the foot.